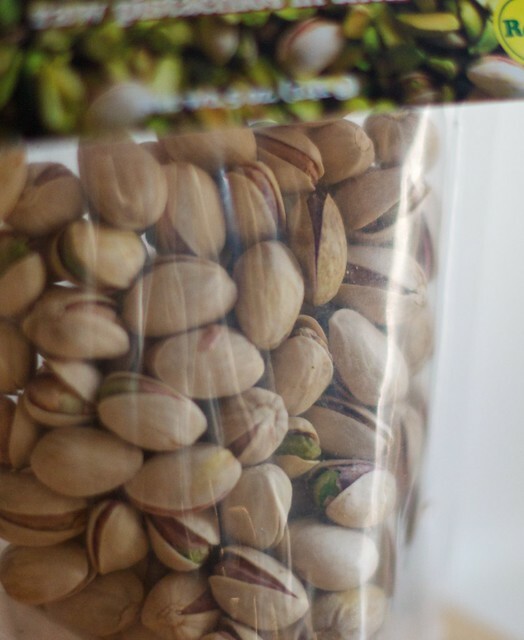 My love for pistachios is practically predestined. To backtrack a bit, I have to start with my dad's palate: it's easy to please. Put a plate of food in front of him and you'll likely hear 'mmm this looks good'. He'll eat basically anything, and then clear off my mom's plate too (though this isn't always his choice!). I'm convinced that my palate comes from another family member, because my dad's taste, while undemanding, is not nuanced. This past Christmas, Justin and I even experimented by giving him our freshly ground, french pressed Stumptown coffee and a cup of truly dreadful, burned coffee. Even though that burned cup was completely undrinkable, my dad quickly drank each, saying 'they were both good'. My dad does have a few very strong opinions when it comes to food: he hates Brussels sprouts and will not drink beer. He also loves pistachios. I remember visiting my grandparents in West Boylston, MA each summer when I was a kid. We'd always take a trip out to the local creamery to get ice cream and my dad would inevitably get pistachio ice cream. (As a kid, this seemed like the worst choice!) Also, it's a rare Christmas or birthday that my dad doesn't receive pistachios as a present. As I grew up, I also became a pistachio fanatic. I love cracking them open; I love their varying colors of purple and green. Most of all, I love their sweet, buttery taste. The Chinese fittingly call them the "happy nut". I am a steadfast fan of Brooklyn Larder's pistachio loaf. They top the moist loaf with candied pistachios; it's my favorite snack. If I can't make it to Brooklyn Larder but want something a little sweet, I indulge with a scoop of Van Leeuwen's pistachio ice cream. After devouring an especially good loaf from Brooklyn Larder, I decided to try my own hand at making a pistachio cake. 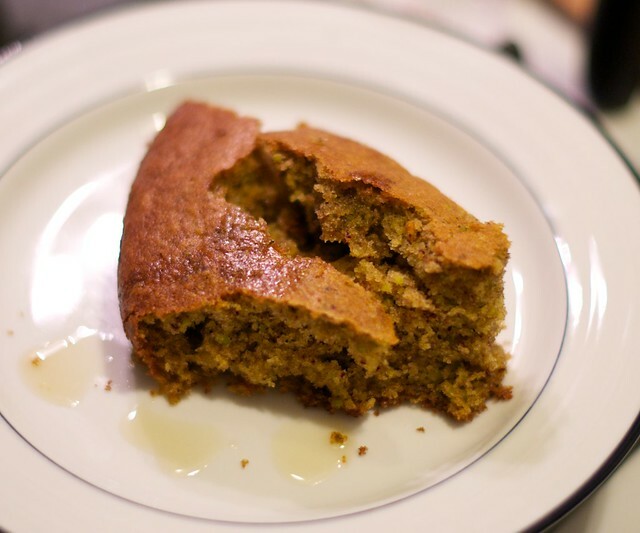 I baked the mixture in a cake pan instead of a loaf pan, but either will work for this recipe. We also added a sugared lime topping. To make this, melt sugar on the stove top, bring to a boil, and then add zest from one lime. 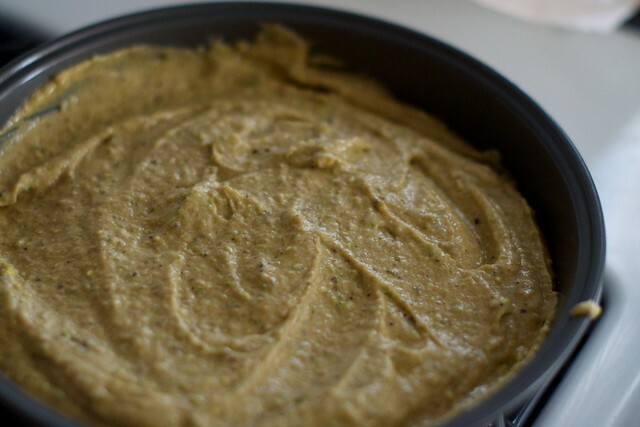 The end result was a pleasant moist mixture of cardamom and pistachio. 10 minutes of prep + 45 minutes of baking = at least 2 days of enjoyment! Preheat the oven to 350. Grease an 8 inch round cake pan. 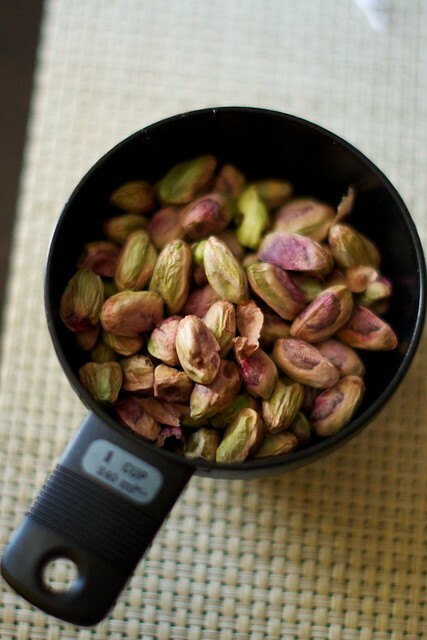 Put the pistachios and cardamom in a food processor or blender and pulse until coarsely chopped. Add the butter, flour, and sugar and pulse until crumbly. Add the combined eggs and yogurt and pulse until just combined and smooth. Spoon mixture into the cake pan. Bake for 45-50 minutes (until a tester inserted in the middle comes out clean). Let cool for 10 minutes. Enjoy! As adults, we tend to think of our personalities as fixed. If you walked into my kitchen one afternoon, the winter light reflecting off of cabinets and counters like a blue-ish laser beam, and saw this cake sitting on one of those counters, delicate and decadent, you might feel your shock crowding out your hunger.